The business world is constantly changing and evolving, and it’s obvious that to be successful, your business needs to keep up; it needs capital to grow. But that’s easier said than done, and getting business loans can be a challenge. 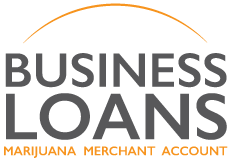 Marijuana Merchant Account has partnered with private lenders who understand the special conditions surrounding the cannabis industry. We can provide access to the funding you need in order to grow your business to the next level. We help to take the stress out of the process by providing quick and easy loan approvals and by doing most of the heavy lifting for you. Here at MMA, we won’t bury you in paperwork, and our qualified loan consultants will work with you every step of the way. No matter what kind of business you have, we will help you find the solution you need.